If you don't have any hot water, the first thing you should do is check to see if the pilot light on your Rheem water-heater has gone out. Rheem water-heater pilots need to be manually lit using the piezo ignitor striker built into the water-heater. It's important to know how to light the pilot on your water-heater, because you should always turn the pilot light off if you are leaving your home for an extended vacation. If you run out of hot water, check the pilot light. Rotate the gas knob on your Rheem water-heater clockwise until it is in the "Off" position. 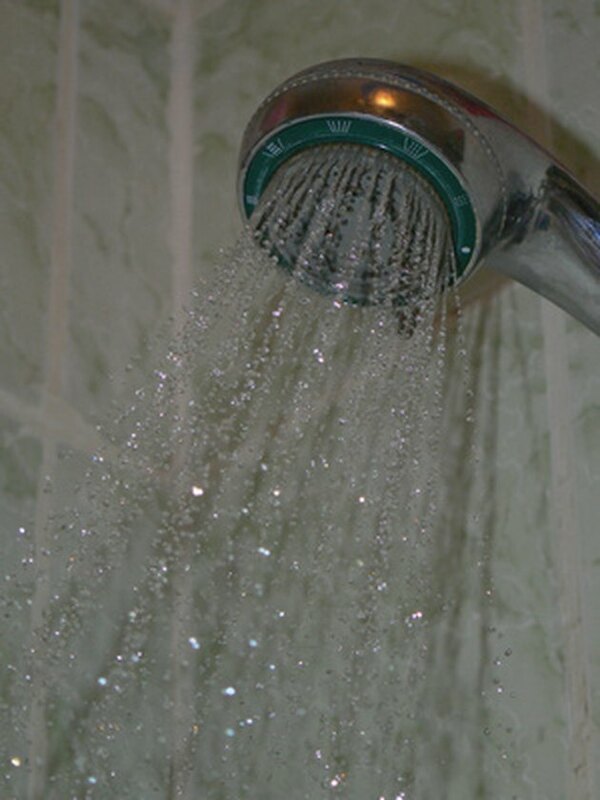 Rotate the water-heater temperature dial counterclockwise until it is set to the lowest temperature setting. Wait five minutes to allow any gas in the water-heater to pass through. Lift the outer door off of your Rheem water-heater. Rotate the gas knob counterclockwise until it is in the "Pilot" position. Push down the red button to the left of the gas knob. Hold the red button down while pressing the piezo ignitor striker, found to the immediate right of the gas knob, repeatedly until the pilot is lit. You can see the pilot light through the viewing window on the water-heater's inner door. Continue to hold down the red button for one minute after the pilot is lit, and then release it. The pilot will remain lit. Replace your water-heater's outer door. Rotate the gas knob counterclockwise until it reads "On." Set the hot-water temperature dial to your preferred water temperature.